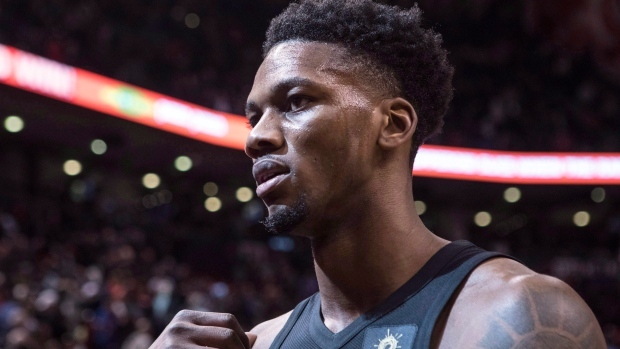 TORONTO -- The Toronto Raptors have waived forward Alfonzo McKinnie. The Chicago native averaged 1.5 points, 0.5 rebounds and 3.8 minutes in 14 games last season with the Raptors. McKinnie also appeared in 35 games with the G-League's Raptors 905, averaging 14.0 points, 7.5 rebounds and 29.9 minutes. He originally signed with the Raptors as a free agent in July 2017.